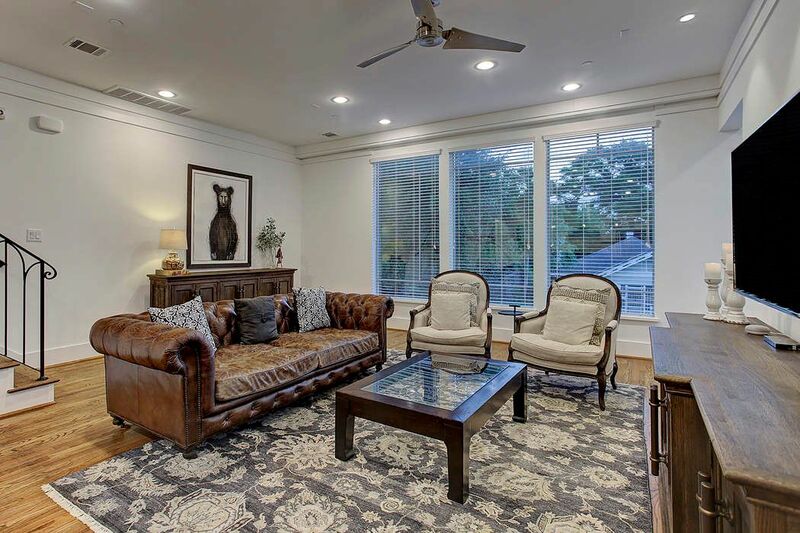 503 Bomar Street, Houston, TX 77006 | Martha Turner Sotheby's International Realty, Inc. Commanding a prime corner location. Features include a private driveway, fenced yard, irrigation system, professional landscaping, patio and more! 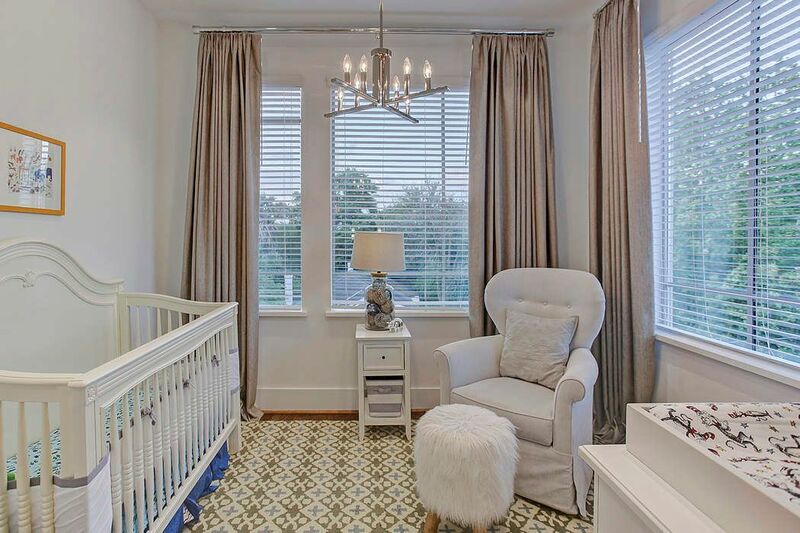 Features gas bib, water bib, recessed lighting, Emerson ceiling fan, wrought iron railing, storage closet and electrical connections. 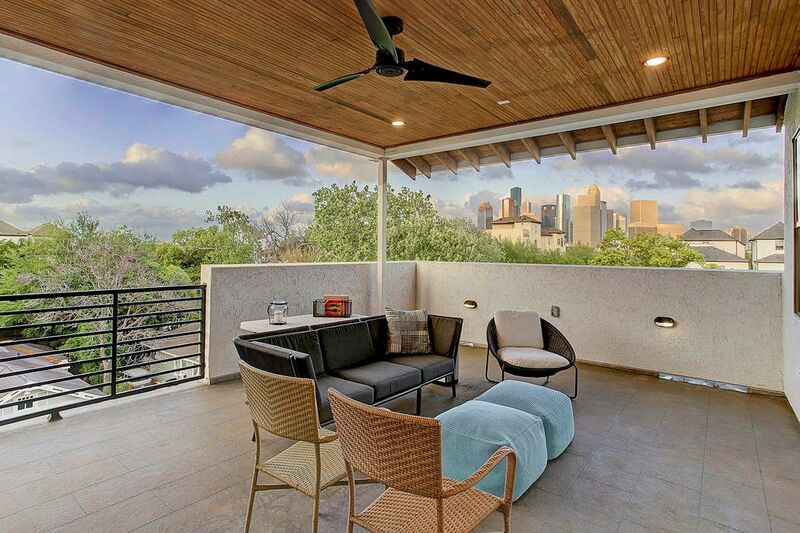 This home features a sprawling rooftop terrace with romantic city views of downtown Houston. 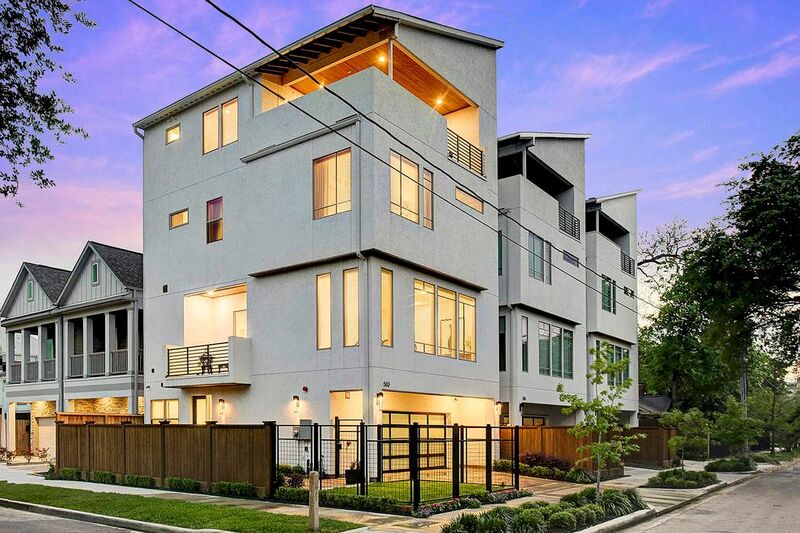 Unobstructed downtown packed with features in the heart of one of Houston's most desirable neighborhoods. 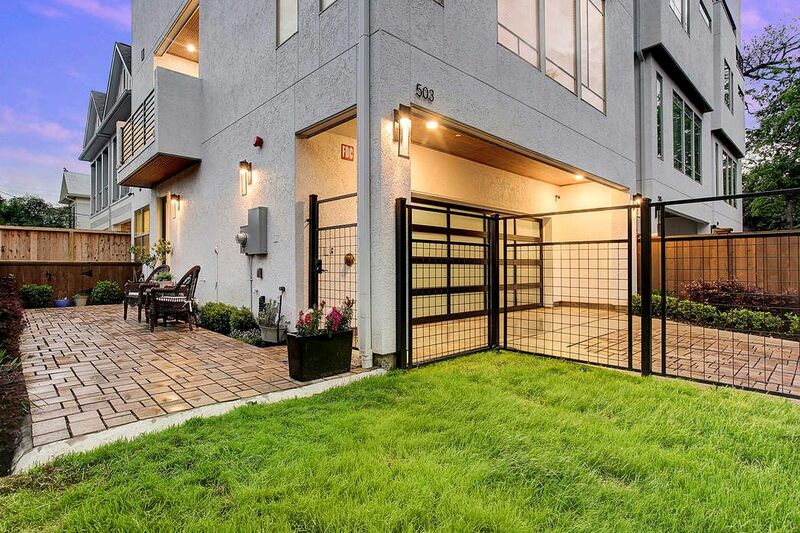 Featuring all the amenities your buyer has been in search of. Gate-enclosed front entry with paver stone patio and side yard. 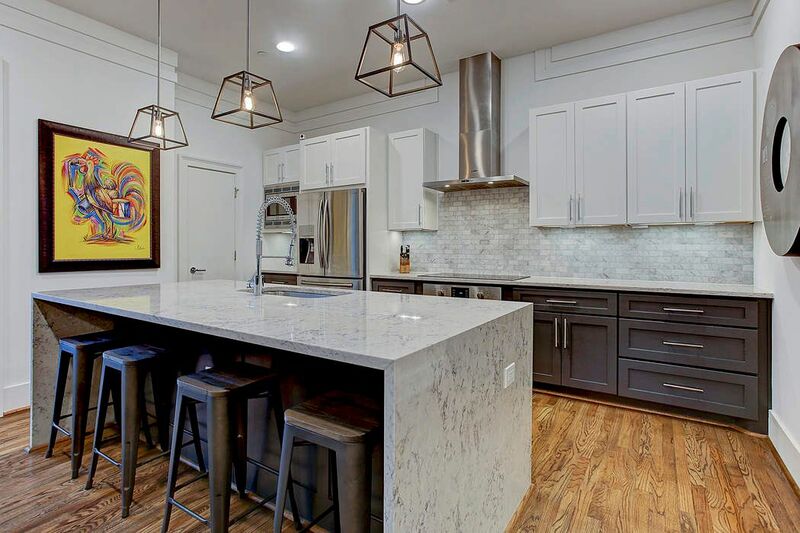 Elegant yet functional chef's kitchen with a waterfall silestone island with room for seating. 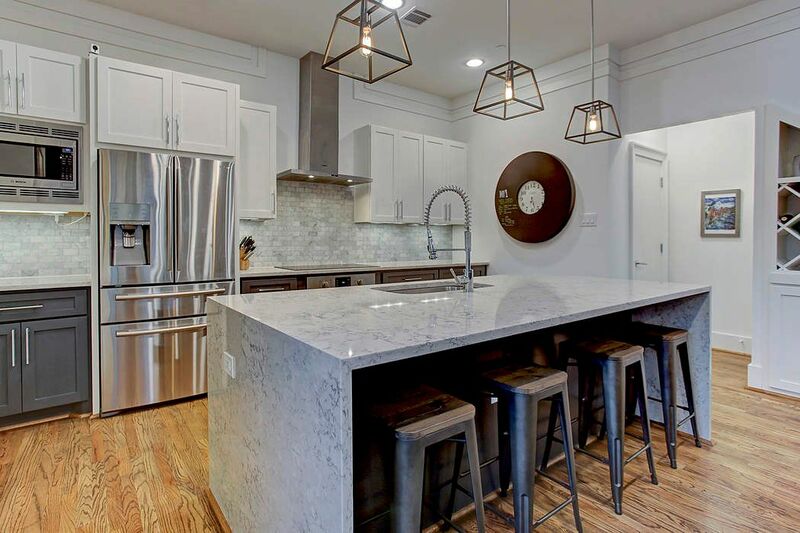 Features include stainless steel appliances, undercabinet lighting, recessed lighting, custom soft close drawers featuring dovetail carpentry, custom millwork and chrome hardware. 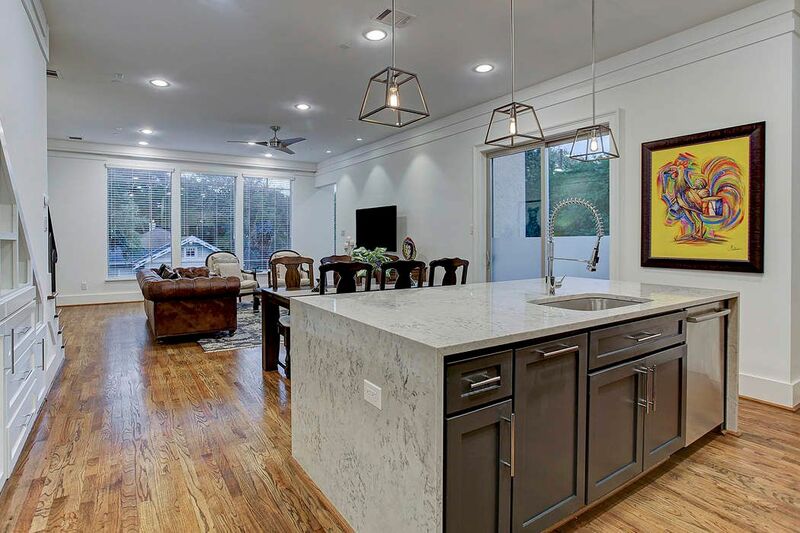 The island kitchen opens to the formal dining room, powder room, balcony, custom built-in bar and living room. 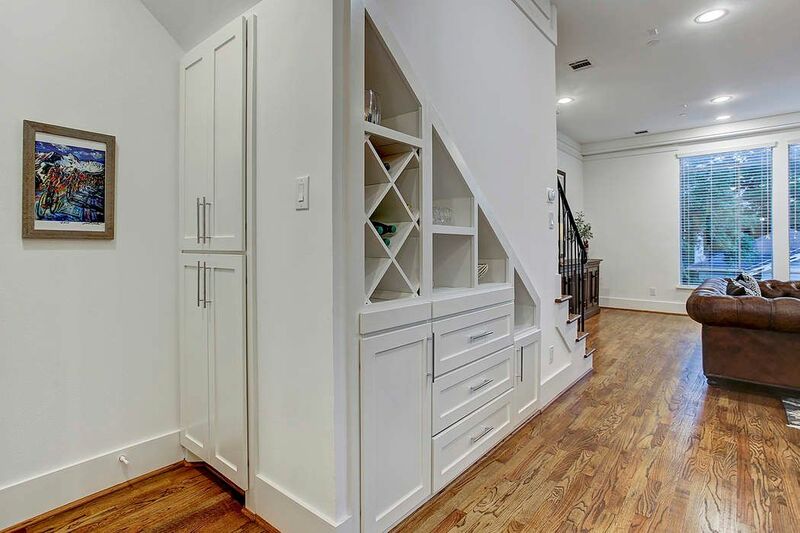 Custom built wine rack with slide out shelving. Perfect for entertaining guests. 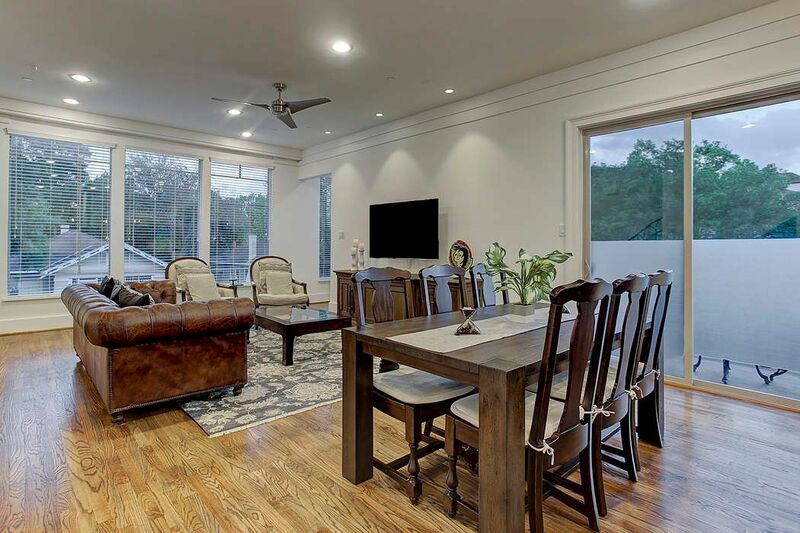 The dining room has hardwood flooring, high ceilings, recessed lighting and sliding glass doors to balcony. 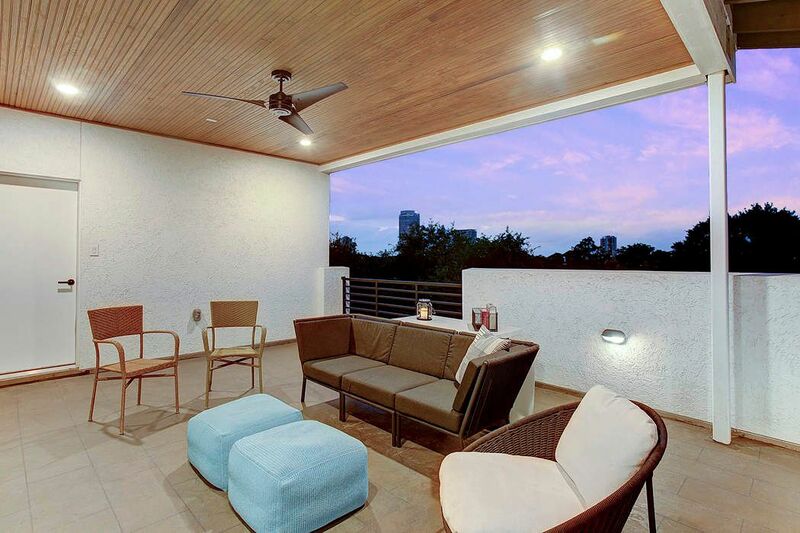 The balcony features recessed lighting, beadboard ceiling, stamped and stained decking and gas and electrical connections. 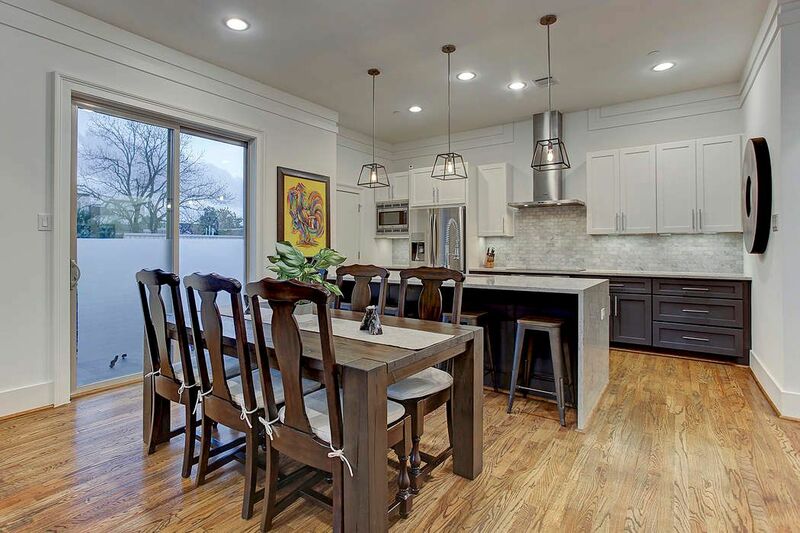 Another view of the dining room and island kitchen. 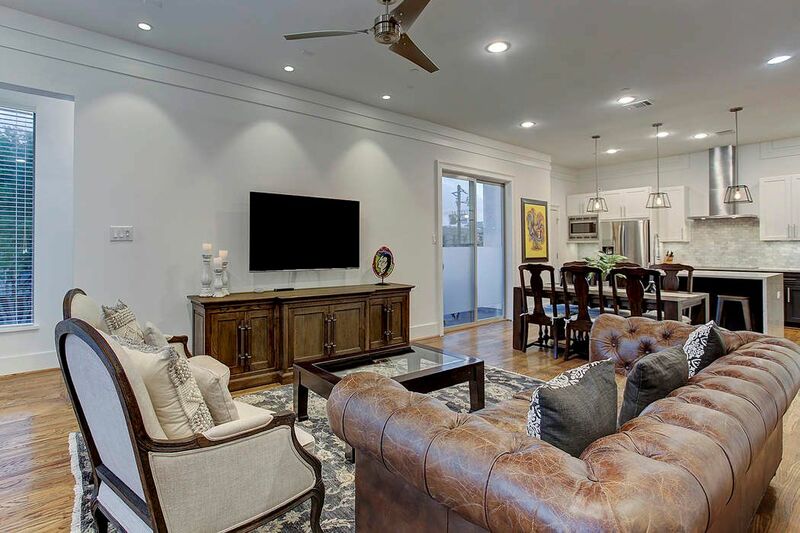 This home provides room to entertain all your guests. 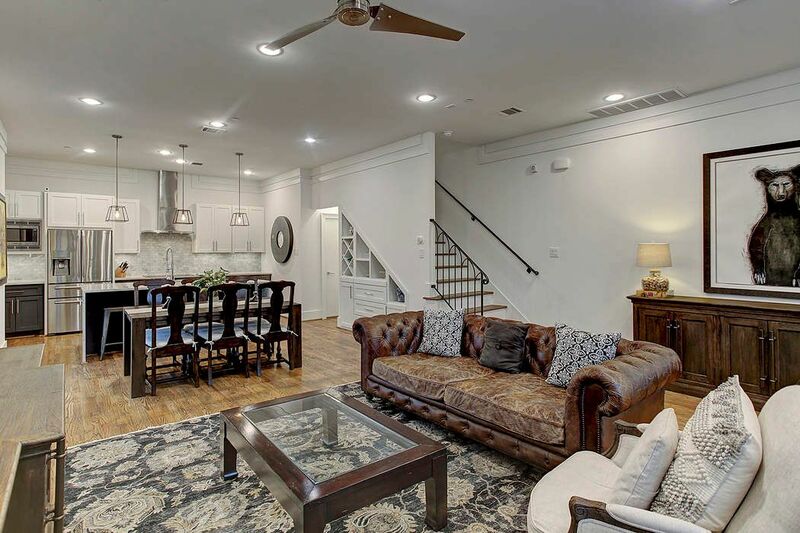 The living room has hardwood flooring, high ceilings, recessed lighting, 3 large windows, custom millwork, ceiling fan and access to the third floor, dining room and kitchen. Note the wall of windows that bring in natural lighting. From this angle you can see the elegant stairwell with wrought iron spindles and baluster with oak treads. 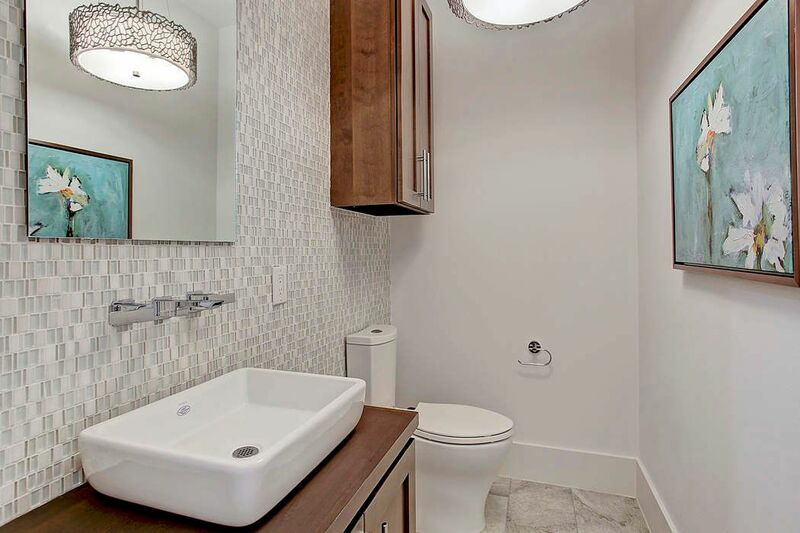 The powder room features a Ronbow overmount sink, Moen chrome fixtures, Koehler toilet and a gorgeous mosaic glass accent wall. 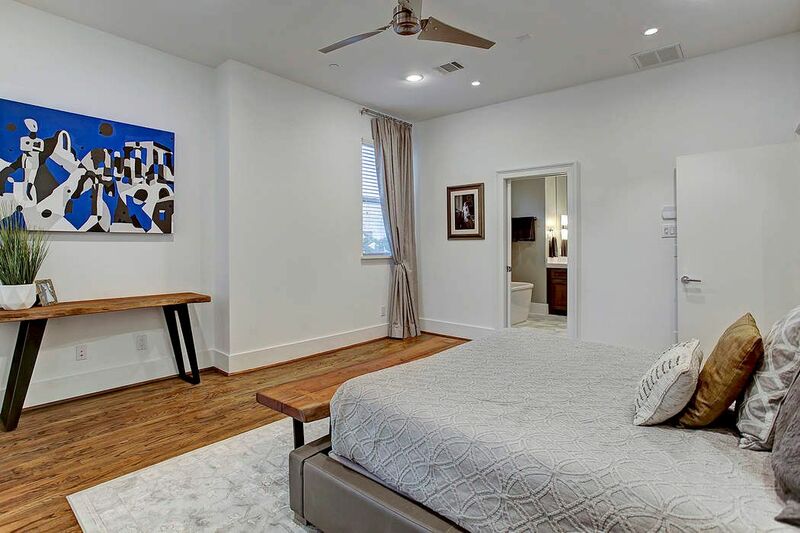 The owner's suite has hardwood flooring, high ceilings, Emerson ceiling fan, accent wall with dual reading lights and custom sliding door to sitting area currently being used as a nursery. Sitting area off of the bedroom currently being used as a nursery. 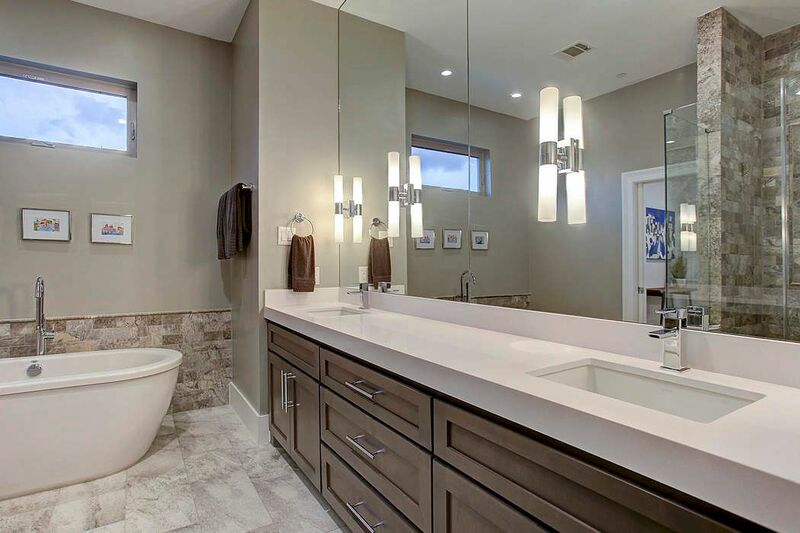 Features custom 8 light polished nickel chandelier. Another view of the spacious owner's suite with pocket door entrance to the owner's bathroom. 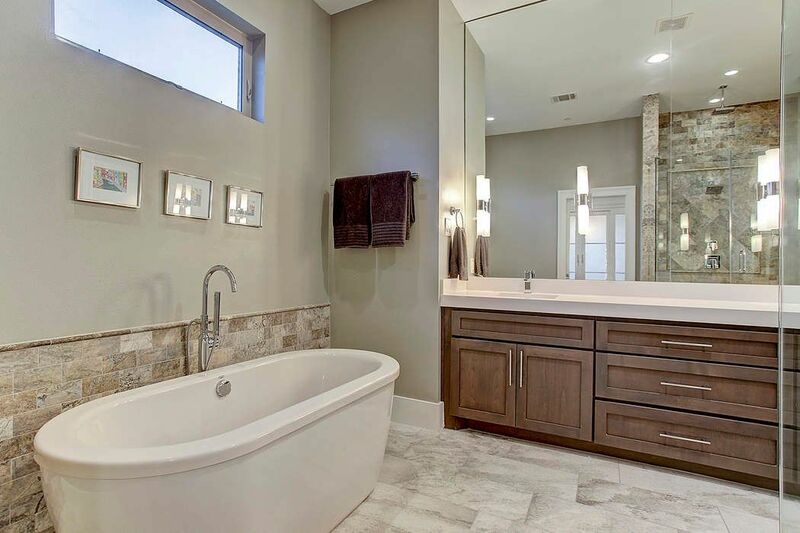 Relax in your own spa, this owner's bathroom has natural stone flooring, a deep soaker tub with wainscotting and casement window. 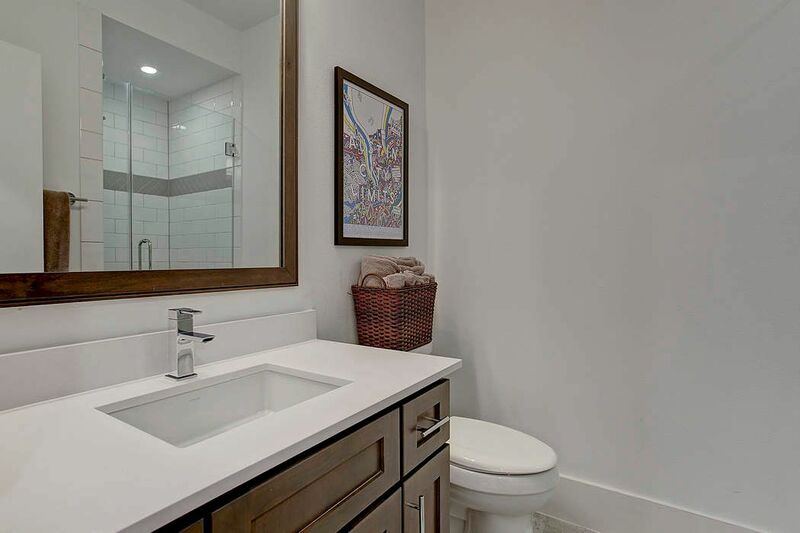 Features include dual undermount Koehler sinks with Moen fixtures, silestone countertops, full length vanity mirror with 4 sconces, soft close drawers, high ceilings and private water closet with Koehler toilet. 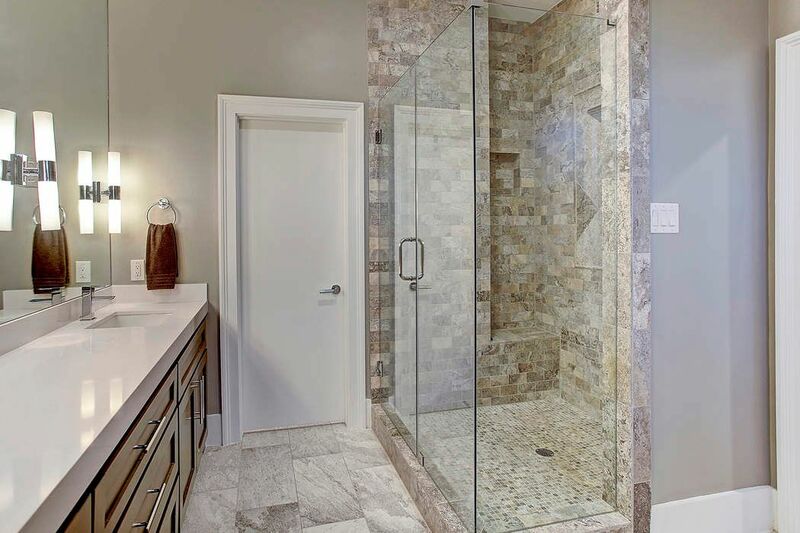 Frameless glass shower door with custom tile work and Moen rain shower head. 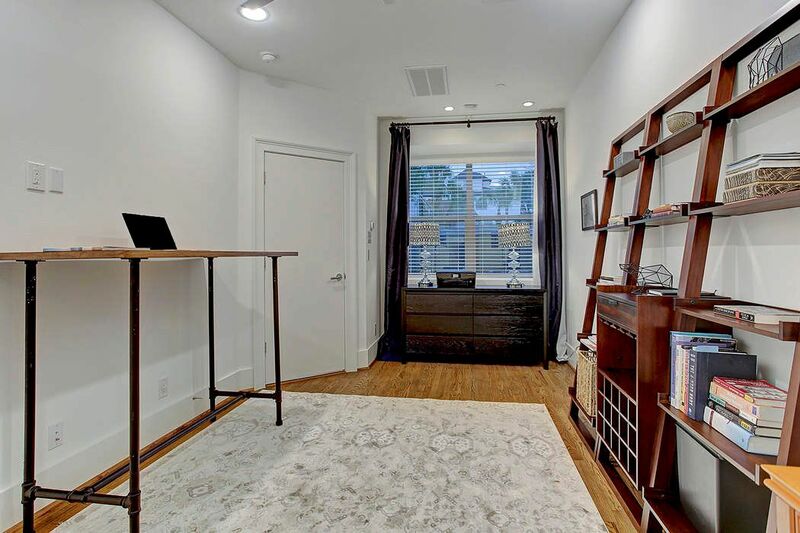 The owner's suite features an expansive walk-in closet with door code access with custom shelves and carpentry. 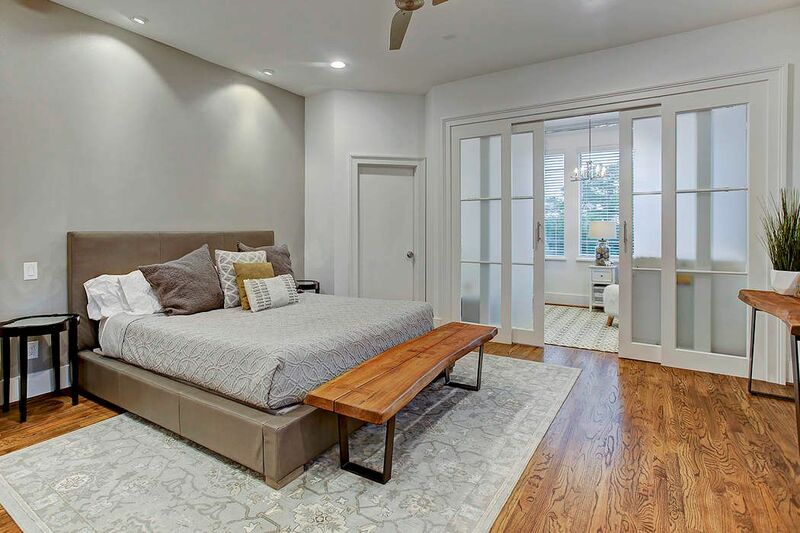 First floor bedroom has hardwood flooring, recessed lighting, Emerson ceiling fan, box window with accent lights and en-suite bathroom. 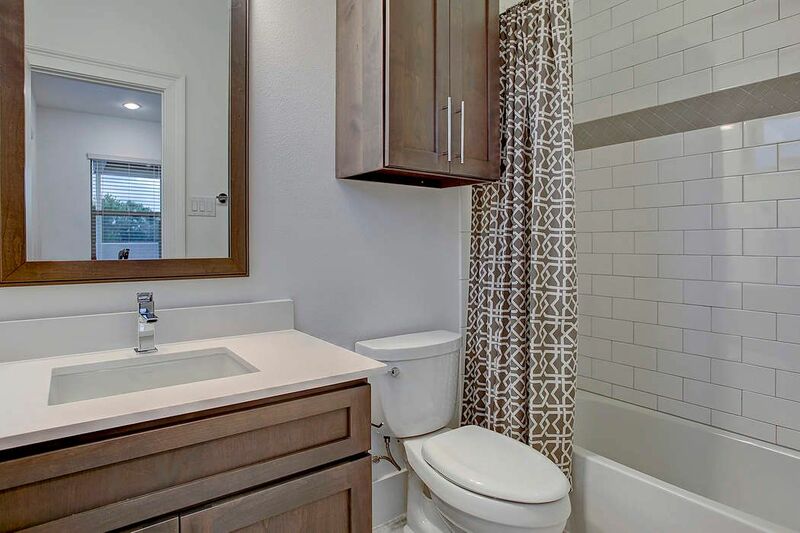 The first floor bedroom bathroom features 24 x 12 porcelain tile, Koehler undermount sink, Koehler toilet, silestone countertops, Moen fixtures and frameless glass shower door with large floor to ceiling format subway surround and Moen shower head. 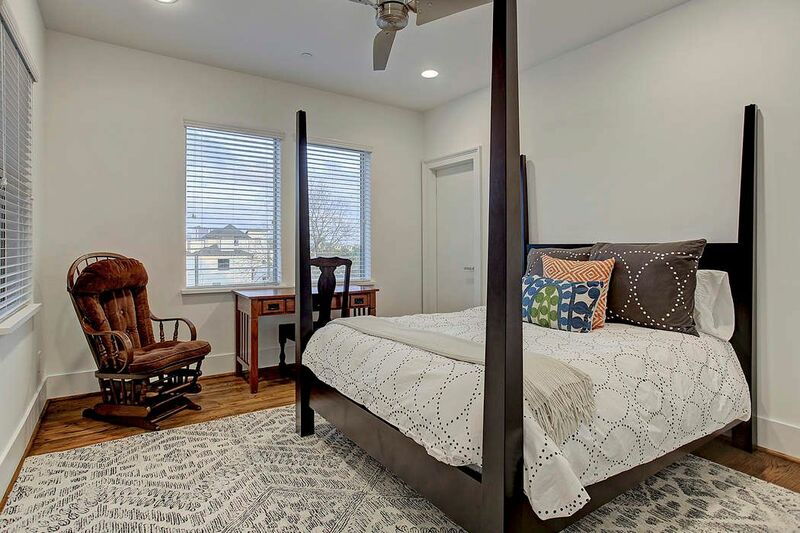 Fourth floor bedroom has hardwood flooring, recessed lighting, Emerson fan, double door closet and en-suite bathroom. 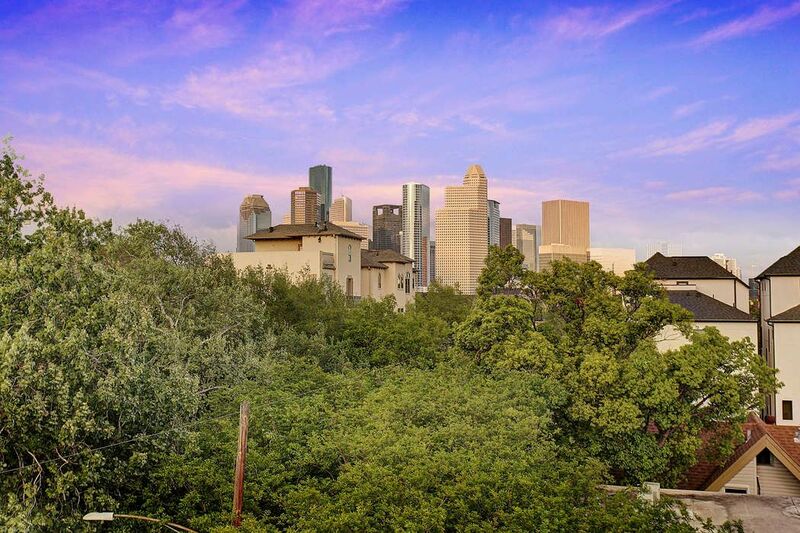 Another angle that overlooks the exquisite views of downtown Houston. 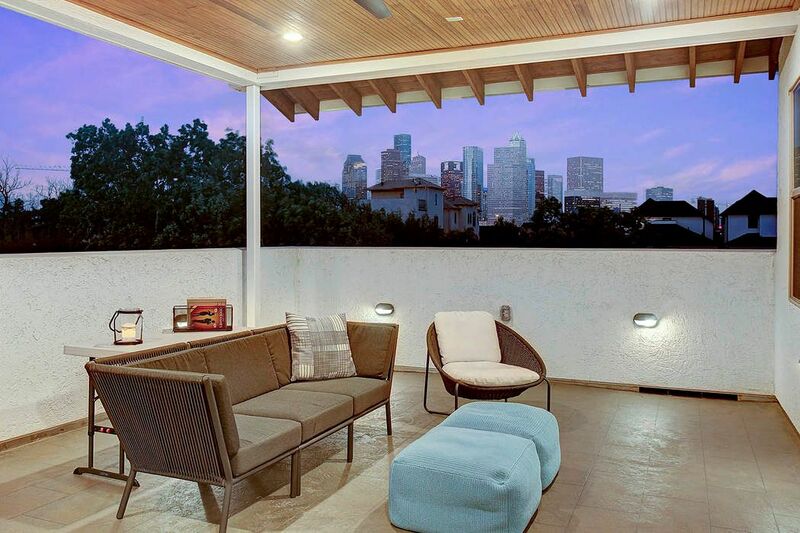 Unobstructed views of the downtown from the rooftop terrace. Why not enjoy that spectacular city view while relaxing in a serene rooftop terrace. A great way to unwind from your day. 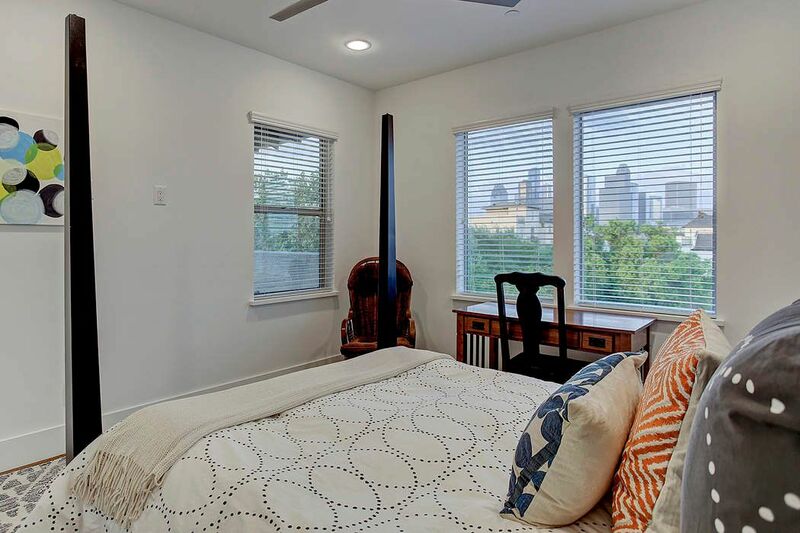 Additional amenities include solid core doors, Emtek hardware, Fire sprinkler system, screens on all windows, nightlight outlets, Nest thermostat on every floor and pre-wired for speakers. 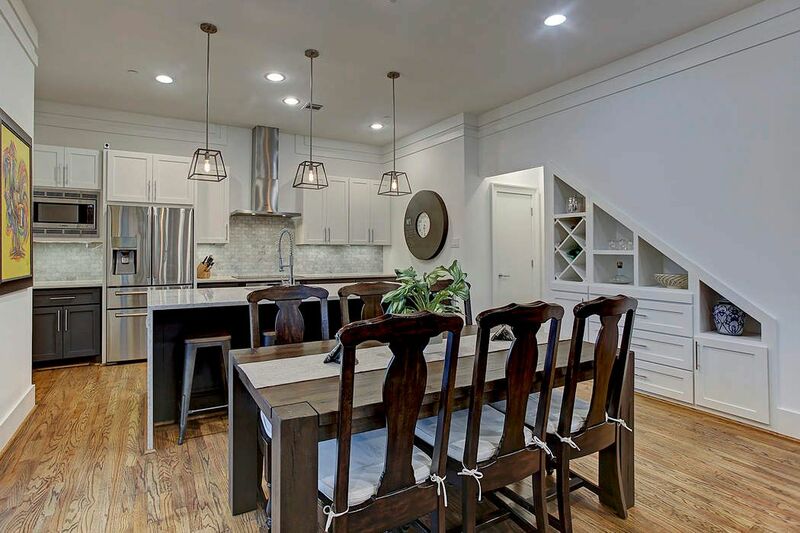 $659,999 3 Bedrooms3 Full / 1 Partial Baths2,693 sq. 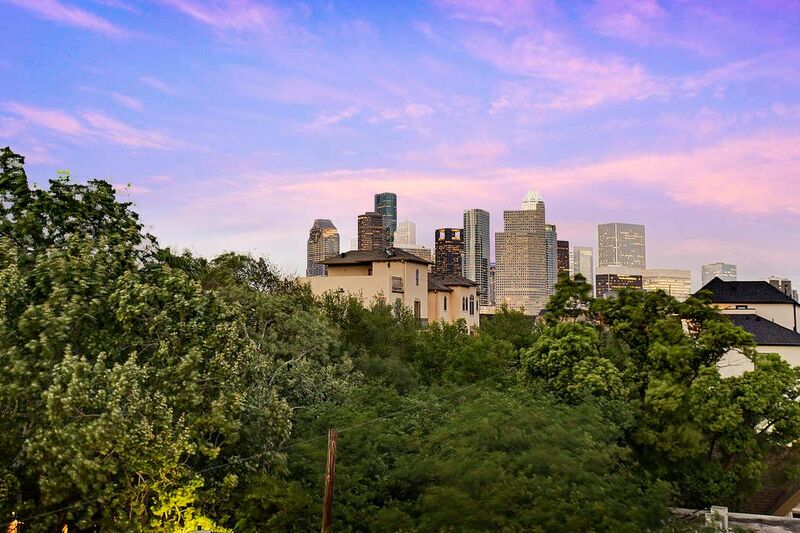 ft.
Unobstructed views of Downtown packed with features in the heart of one of Houston’s most desirable neighborhoods. Featuring all the amenities your buyer has been in search of; private driveway, fenced yard, patio, high ceilings, island kitchen, Emtek hardward, Moen plumbing fixtures, solid-core doors and oak floors.To top it all off, the rooftop terrace not only features unobstructed views of Downtown, it’s also covered, providing year-round use and enjoyment. 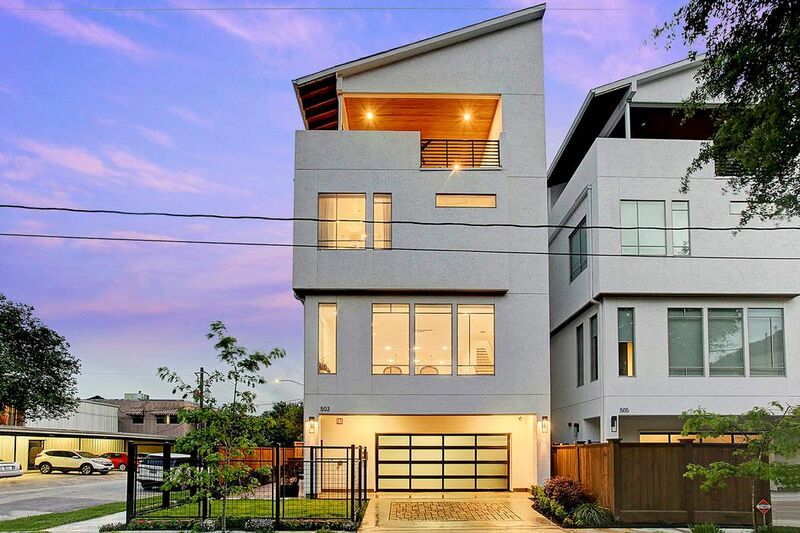 The location offers superior access and convenience to Houston’s best eateries, parks and shopping. Real estate agents affiliated with Martha Turner Sotheby's International Realty are independent contractor sales associates and are not employees of Sotheby’s International Realty, Inc. Sotheby’s International Realty and the Sotheby’s International Realty logo are registered (or unregistered) service marks used with permission.